Not all of us could afford advanced keypads and gate access systems that allow for individual codes, sometimes we just tend to use 5 codes and randomly distribute them to tenants. Ever wondered on how you’d be able to assign such default Gate codes to Units? Step 1: Navigate to the left list menu and choose All Units under the units tab. 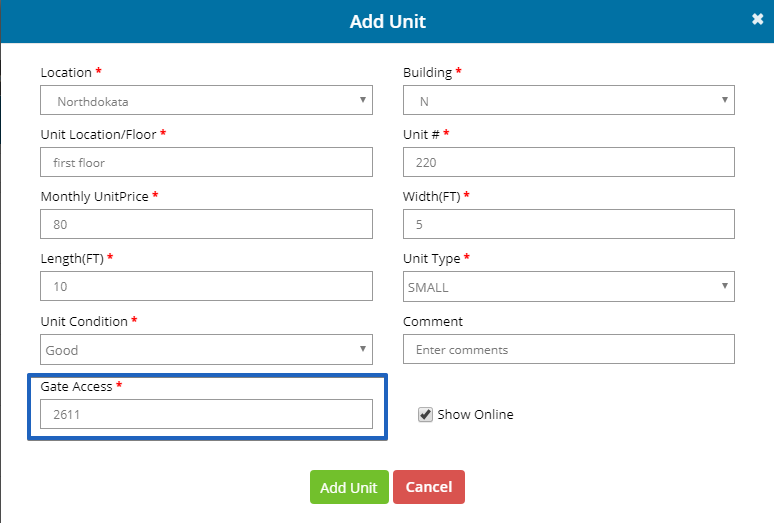 Step 2 : You should be redirected to a page with a button Add Unit that allows you to create a new unit, simply click on it to proceed in creating one. Step 3 : Now you’d find a tab that appears with a lot of fields to create a new unit of your choice. Here is where you’d find our newest feature to assign a default Gate code for the unit. Step 4: You’d find that hitting on Add Unit creates the new unit and the grid below shall populate them all. Step 5 : Now you could simply head to the Centralized unit page by clicking any unit’s row, Here you could reconfirm the assigned Gate code for the Unit. 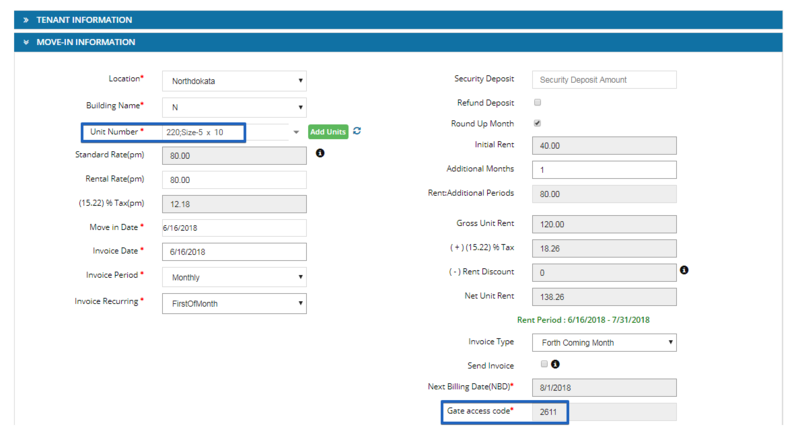 Step 6 : Henceforth whenever a move-in happens, be it from the software(walk-ins) or through your website(online rentals) ; You’d find the gate access code field auto populate based on the unit chosen. Note : You could also at all times edit the gate codes that you’ve assigned to units.